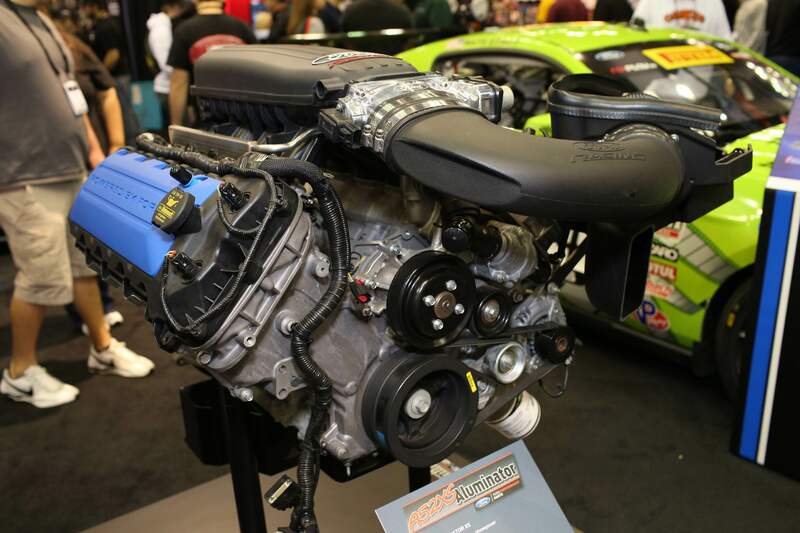 There was one engine sitting in the Ford Performance PRI booth that almost went overlooked. 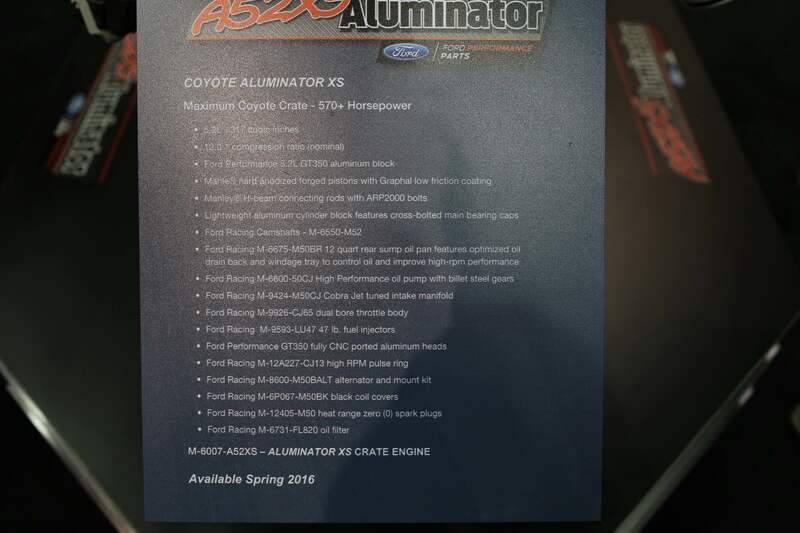 You wouldn’t know it from a standard Aluminator XS, that is, until you read the spec sheet in front of the engine. 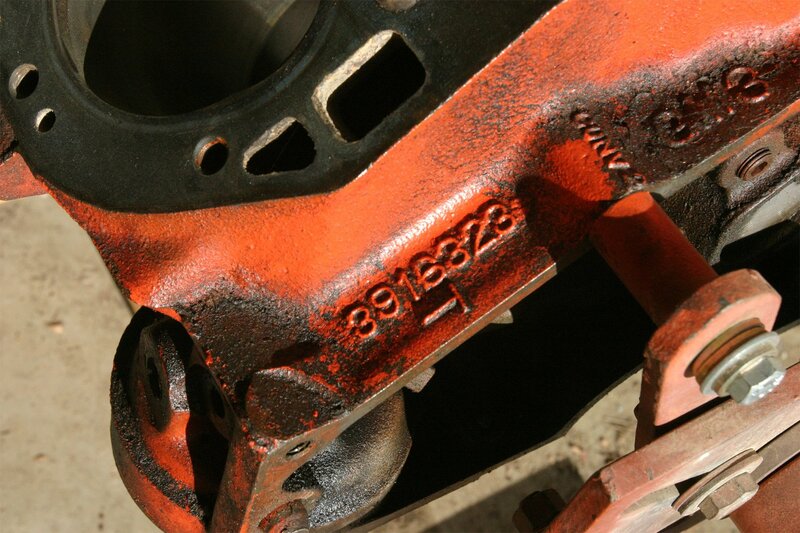 The A52XS engine is derived from the M-6007-A52XS part number. 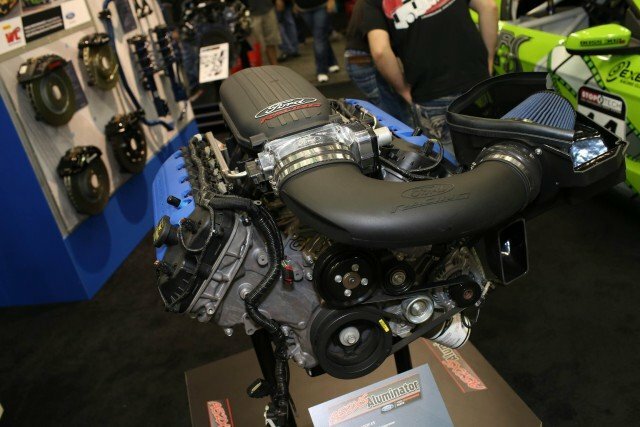 Partially GT350 and 2015 GT parts, the A52XS boasts power capabilities of over 570 horsepower through its 317 cubic inches. 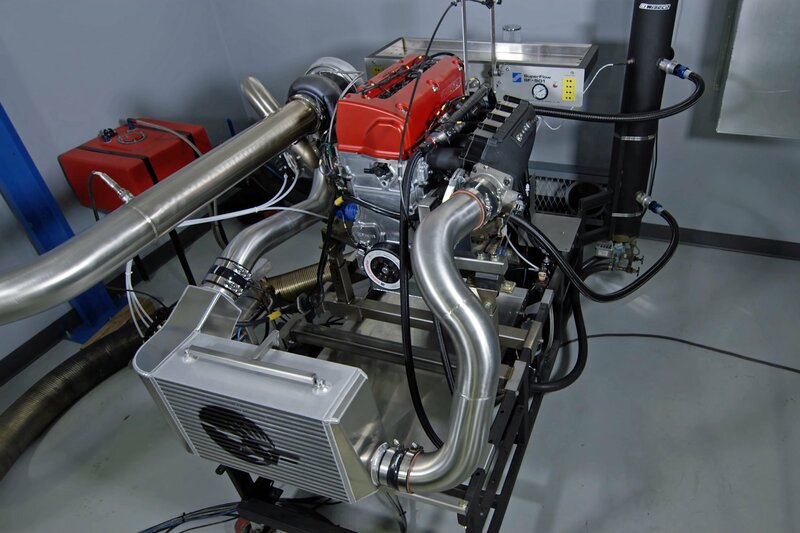 The basis of the engine is the GT350 5.2-liter, 94 mm (3.700) bore block, which is a special high-performance casting containing the plasma transferred wire arc spray weld liner coating. 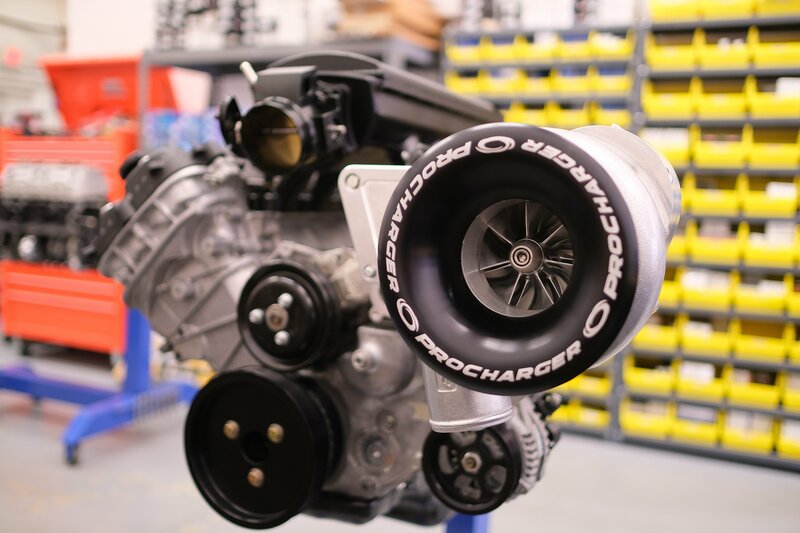 “The flat plane crank is exclusive to the GT350, so we went with a conventional GT crank in this engine,” said Mike Delahanty of Ford Performance. 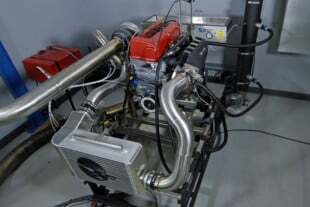 Connected to the crank are Manley‘s tried and true 5.933-inch forged H-beam rods and Mahle forged pistons. 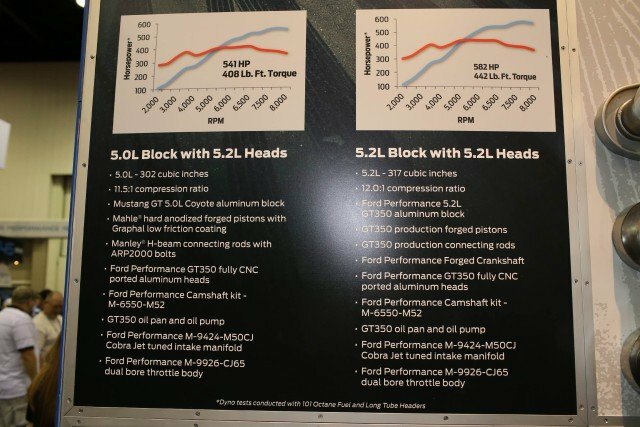 Ford Performance’s naturally aspirated Cobra Jet program is the first time we saw the 3.700 bore Mahle pistons and is similar to the slugs found in the A52XS; compression ratio has been reduced from 12.5:1 to 12:1 for better street manners. 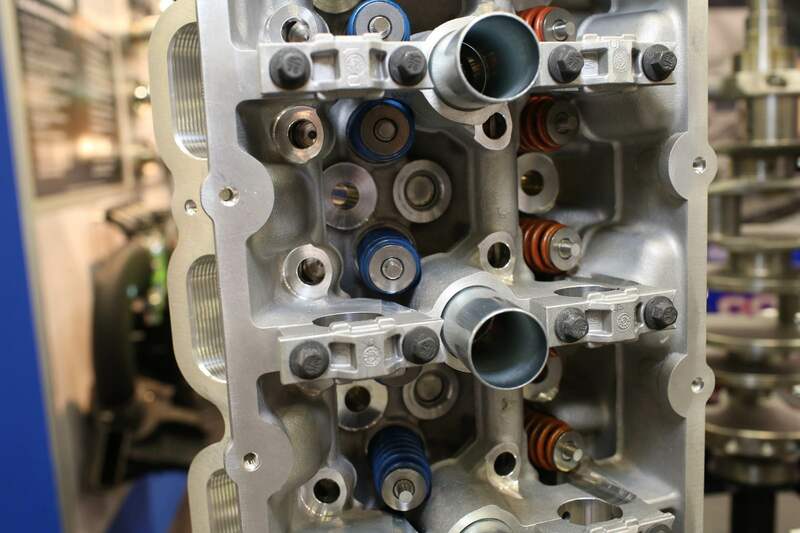 Looking at the GT versus GT350 cylinder head, you can see the valvetrain geometry change by looking at the placement of the valve stems in relation to the cam caps. 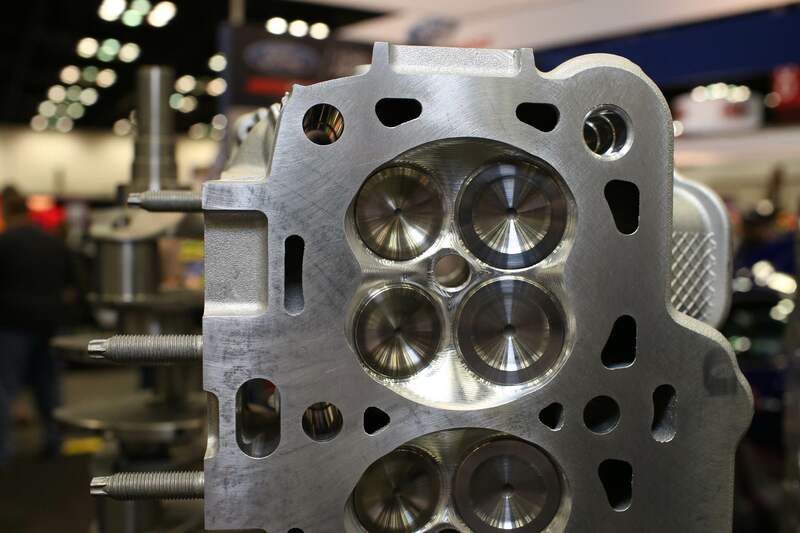 On the top end, Ford Performance selected the GT350 fully CNC-ported cylinder heads. 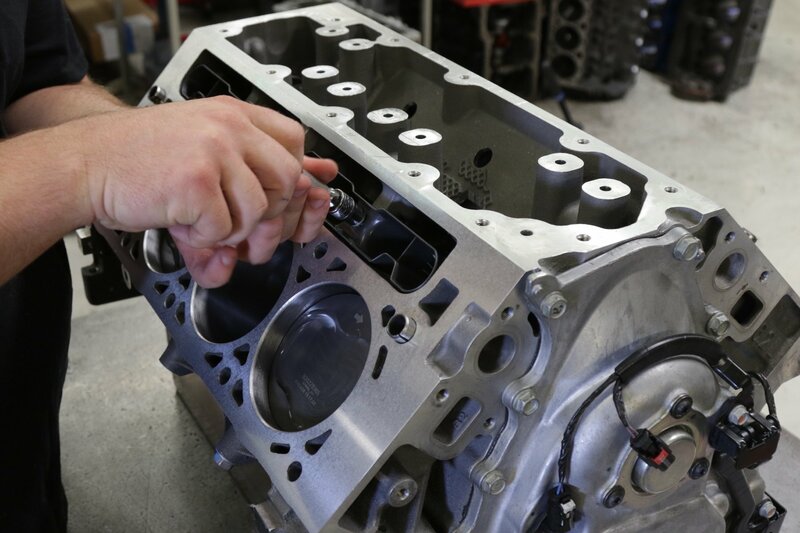 The casting on the GT350 heads are unique with a slightly spread valve spacing to accommodate for the larger valves and higher RPM stability — 38.3mm (1 mm larger than the GT) on the intake and 32.5 mm (.7 mm larger than the GT) exhaust. 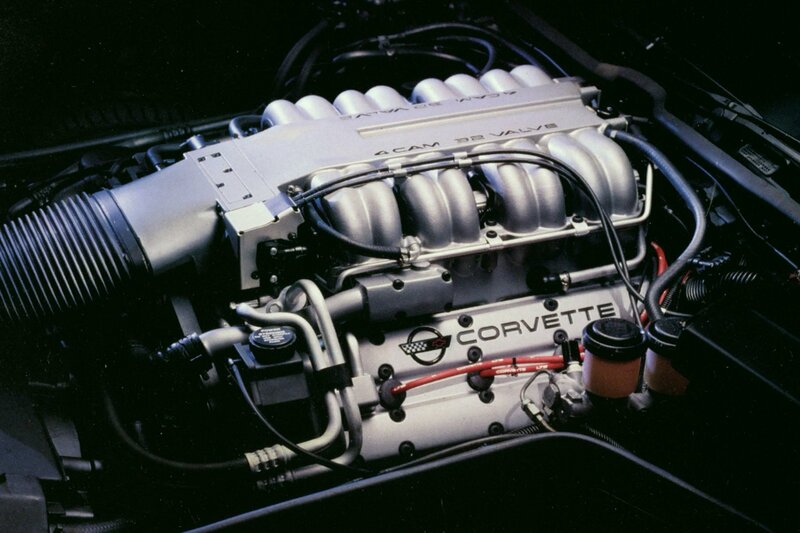 The heads are filled with lightweight hollow-stem intake valves and sodium-filled exhaust valves, requiring the 5.2-liter’s rockers and lash adjusters to complete combustion. 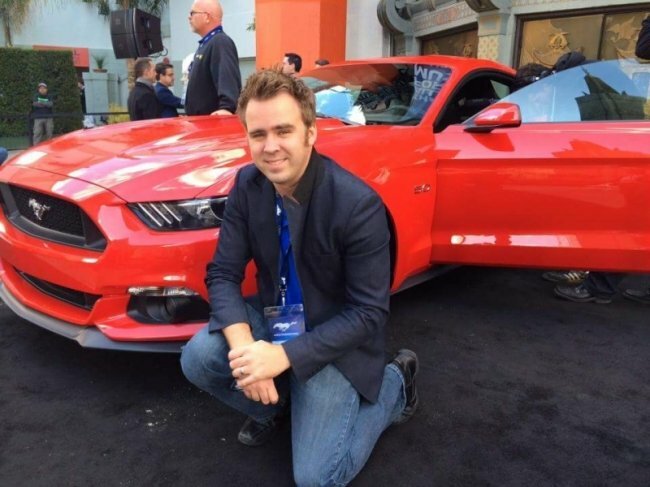 The revised valvetrain geometry on the GT350 head requires a camshaft with a larger base circle. 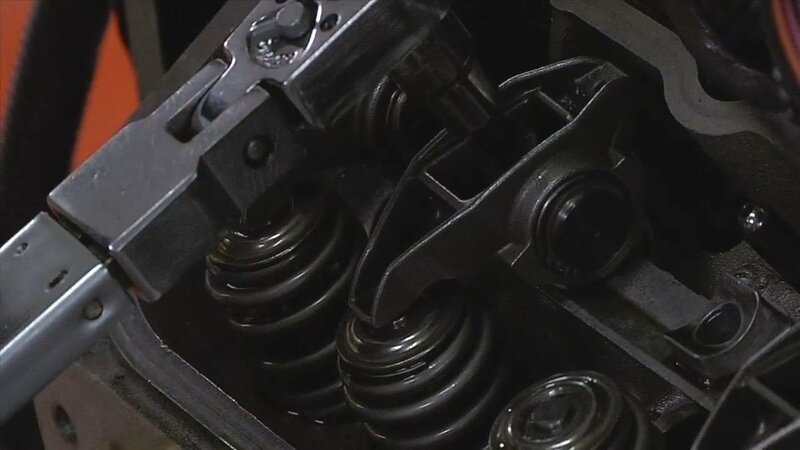 Since the GT350’s flat plane crank changes the firing order, Ford Performance ground revised GT camshafts to work with the standard GT firing order and crankshaft in the A52XS. 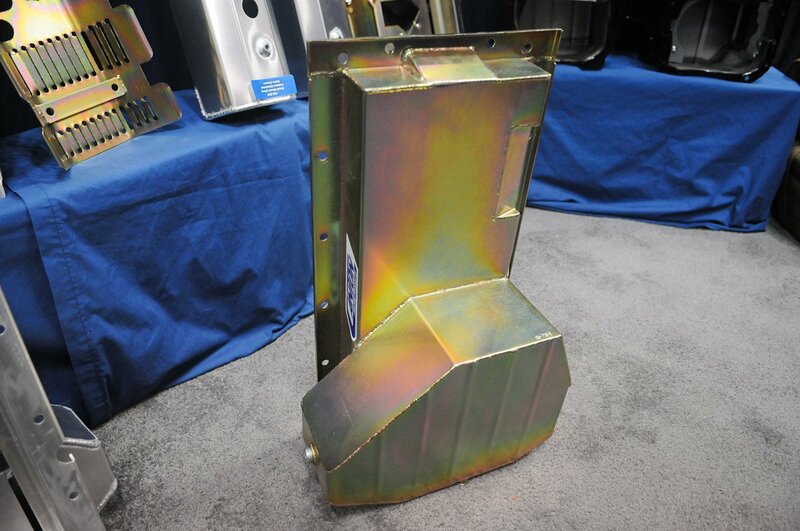 They feature the same profiles as the GT350 cams, including the 14mm of lift. 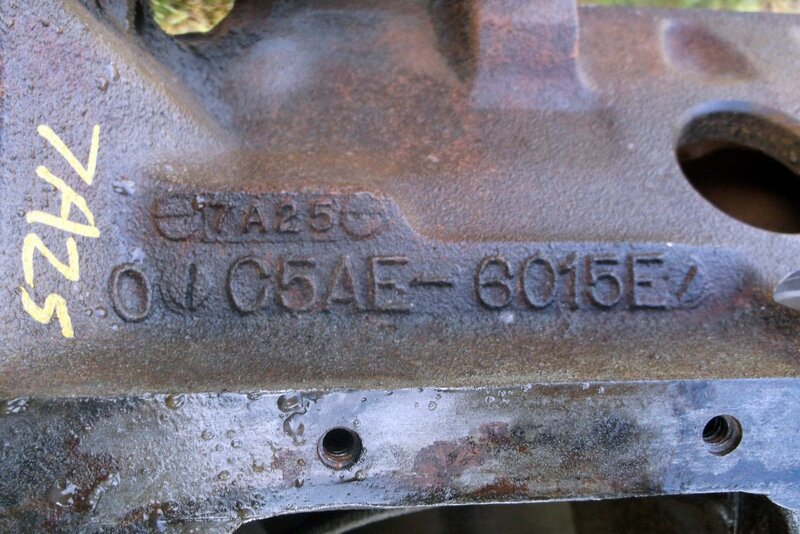 All the rest of the usual parts are found in the A52XS – billet oil pump gears, Cobra Jet intake manifold, and 12-quart pan. 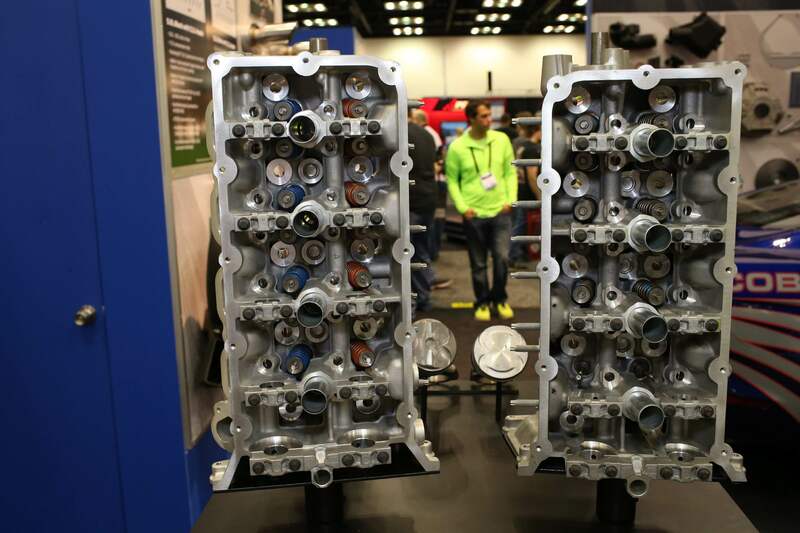 For those with 2011-14 Coyote engines, Ford Performance will be offering two different cylinder head upgrades. 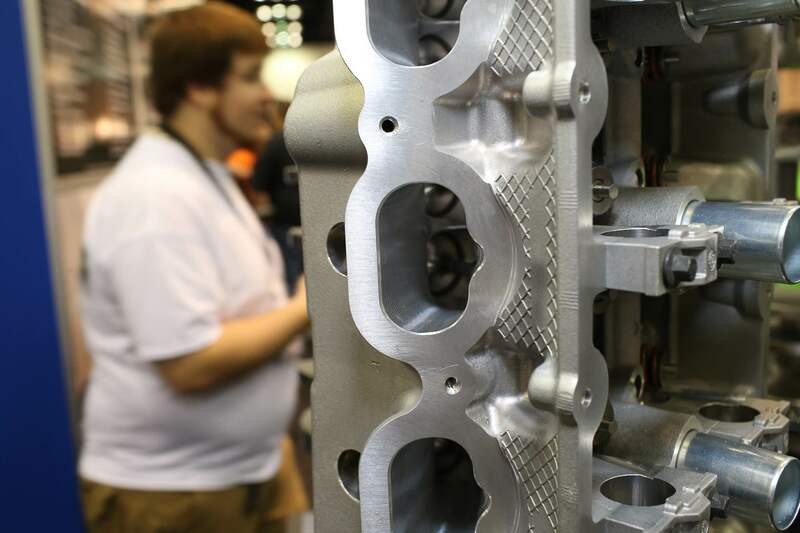 The more affordable of the two will be the standard GT cylinder cylinder head with its revised intake and exhaust ports that outflow the outgoing BOSS 302 CNC heads. 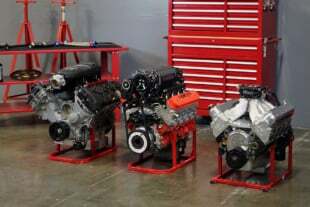 If you’re looking for the maximum level of performance, Ford Performance will be offering a GT350 top-end package that will consist of the GT350 cylinder heads, GT-specific GT350 profile camshafts, rockers, and intake manifold.